The Federal Government said, yesterday, that the governors have no legitimate right to reduce the national minimum wage from the present N18, 000 because it was a product of agreement. This came on the heels of the rejection by the Nigeria Labour Congress, NLC, of the recent proposal to remove fuel subsidy in 2016, the increment in the electricity tariff and the proposed re-introduction of toll gates on the federal roads. 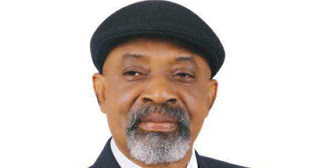 Warning against any plan to reduce the minimum wage at the meeting with the leadership of NLC, Minister of Labour and Employment, Senator Chris Ngige, said the governors were only playing politics with the issue of minimum wage. Ngige said instead of contemplating to reduce the minimum wage, the government would want workers to be paid higher when the economy improves. The minister, however, blamed the organised labour for allegedly heating up the system by joining issues with the governors in talking about reduction or increment in minimum wage. According to him, “when the NLC joined the governors in talking about minimum wage, with the governors saying we can’t pay N18,000 minimum wage and NLC says it is time for us to ask for increase, we now know that these are talks that are heating up the system. “The NLC knows better that the governors are playing politics. This is one matter that you cannot play politics with because it is a matter of rule of law. The law in place now is the Minimum Wage Act enacted by the National Assembly and the National Assembly derived their power from the Exclusive List of the constitution which gives them power to make laws on labour related matters including minimum wage. “So, anybody who wants to talk about minimum wage should go to the National Assembly or ask the President to send an executive bill which can be discussed and it will be a tripatite discussion, involving public hearing. “Please let a sleeping dog lie, because this country is going through a very difficult time now and requires your prayers and support. Nobody can reduce wages now. If anything, if you have more money, you pay higher. “The third thing which is also one of the pillars of government is the fight against corruption. Corruption has eaten so deep into the fabric of the Nigerian system that if you are not corrupt, you look abnormal. “The labour laws need some tinkering because some of them are very old. Even the penalty that are prescribed in them are very old. You see some laws which says that if people abuse expatriate quota, they pay a fine of N2000. It doesn’t make sense. “As a ministry, we will look at all these laws and with the Attorney General of the Federation, we will make sure that we fast track some of these laws so that the necessary penalties that are commensurate with labour offences committed are meted out to the offending parties. We will be needing your input. He emphasised the commitment of government to employment generation, adding that the government was aware that unemployment is the easiest gateway to instability and insecurity. He said that the government, in a bid to show the seriousness of empowering the youths, has budgeted N500 billion to address the issue of unemployment, and poverty alleviation.